Trial and error is sometimes a good way for interesting findings, in the windsurfbusiness I don't see much extreme things. But there are plenty of handy windsurfers willing too sacrifice time and equipment for science!! Here 2 amateur projects, I like to read about such projects. I often don't believe this experiments perform better in most conditions, but there always a chance of getting usefull information..
PS begin 2010 I read something about twinfin speedboard testing. Don't remember who did this, anybody knows more??? Any findings??? It was me who "trew a ball up" about twinfins on speedboards, looking at kiters :-). I don't know if someone really tried it. Interesting though! 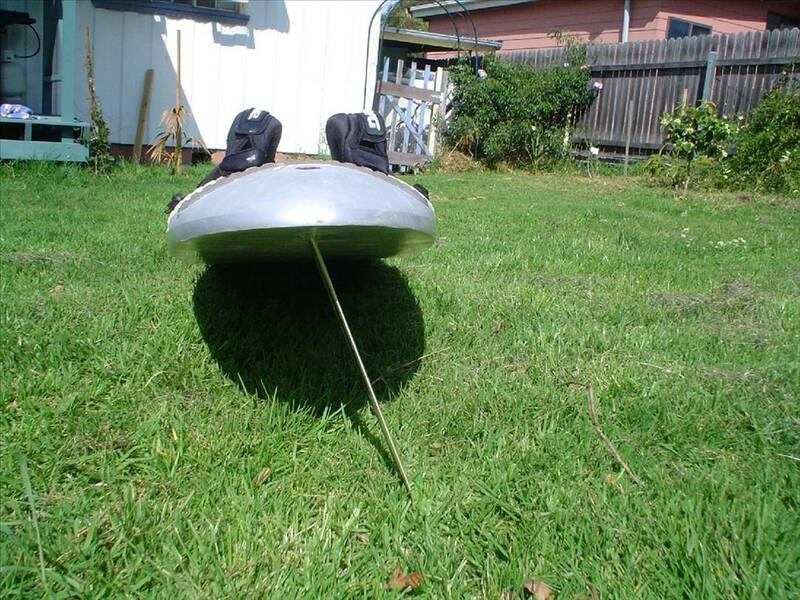 There was actually a manufactorer (don't know small or big brand) that did produce a couple of twinfins speedboards. I thought for an italian guy, but don't know for sure anymore. Maybe for the guys competing at the Luderitz speedevent ("principe" Baldini)?